of oil cleansers. This week I’ve fallen For Indie Lee’s The Cleanser. Apply it to a cotton ball or facial brush and massage into dry skin. Rinse with water and watch makeup and dirt fall away. 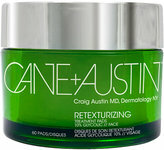 It is made with Strawberry oil, a known anti oxidant and exfoliator, which brightens and cleans the skin. Indie Lee is a fabulous all natural line. Read her story here. 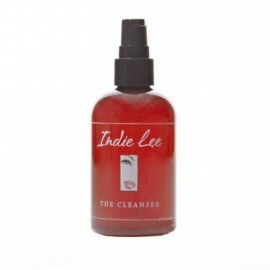 Get with Indie Lee and be naturally beautiful, aside from the pound of makeup on your face!….